It's time for a new Ribbon Girl challenge, and this month it's all about adding sparkle. 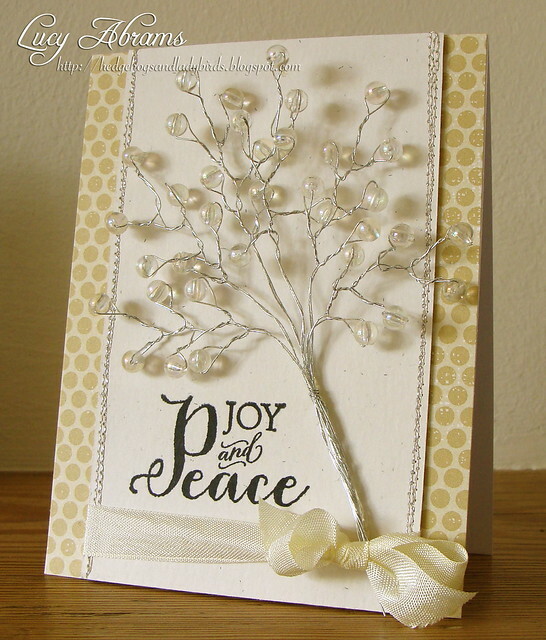 I chose to make a matching pair of Christmas cards using some gorgeous crystal flower stems and THIS sentiment stamp from Hero Arts. 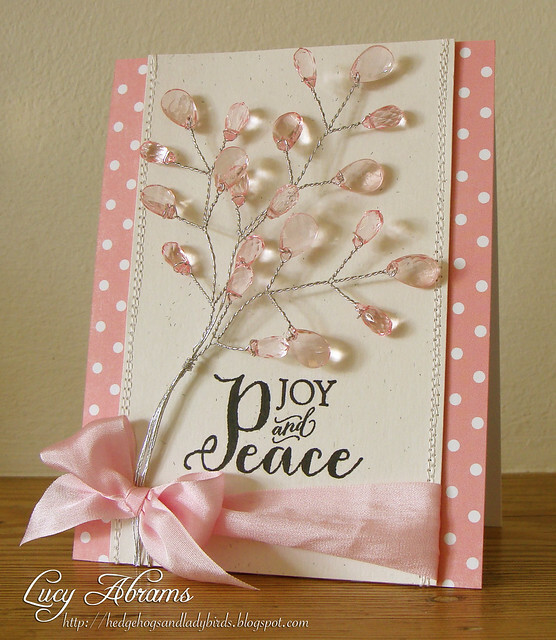 My first card uses some stunning pink crystal flower stems and yummy silk ribbon. And the matching card uses Opal Bead flower stems and some cream seam binding. You have until 17th November to enter - click HERE for all the details and remember, there are great prizes up for grabs! Great idea. Such pretty cards. WOW, Lucy, these are gorgeous! How did you secure these stems to your card? Absolutely stunning, Lucy! Love these amazing cards! Such beautiful and elegant cards! These are GORGEOUS! 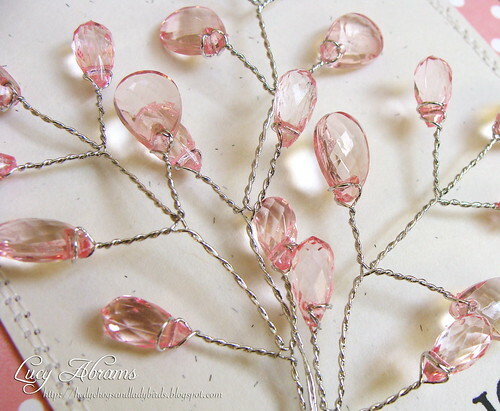 Loving the crystal stems...such a lovely way to feature them! 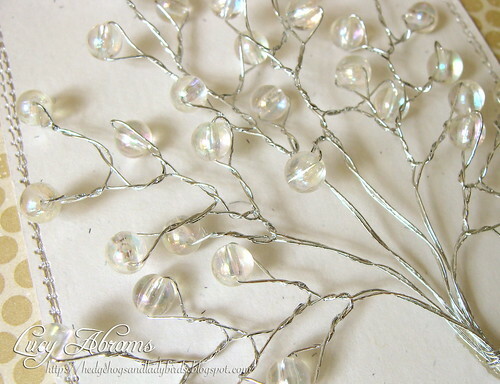 The crystals branches are gorgeous. I love the look. Your cards are always so stunning. Gorgeous cards. The crystal flowers are fabulous!! Great colors.